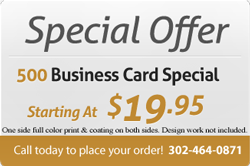 Our graphic design service can be utitized not only for designing a great web presence, but we can help you with your business cards, letterhead, and any other design work that you need. You may already have a great staff and a snazzy building, but if you don’t have a strong corporate identity, your business is missing something. People are important, but creating the right impression is also about letting your stationary and cards speak for your business’ image. Even when your customer is not within reach, they get impressions about you and your company. The more they like your logo and identity, the better it is for you. Think about what you do when you try to remember something. You usually recall images that remind you of information. When someone is trying to remember that company they heard about, they’ll most likely remember a person or your corporate identity. You want your identity to be one of the first things that comes to people’s minds when they need the service you offer. Your logo can be a first impression or a constant reminder. Like a catchy jingle, you want your graphic to stick in the minds of those who are exposed to it. What sticks with your corporate identity are all the assumptions people will make about your company, simply by viewing a graphic. That’s why you want to make sure those assumptions are good ones. They will speak about who you are as a company and how you do what you do. Who wants to shop from a florist whose logo isn’t romantic and beautiful? Who will trust a fashion designer whose corporate identity looks out-of-style? That message is part style, part message. Your logo needs to be an interesting design as well as a vessel for the message you’re trying to convey. People should be able to recognize it easily and remember it. If your competitor’s logo is more memorable, they will be the one customers will think of first. You don’t want to lose one more customer that way. To prevent this, make sure your logo, as well as your corporate identity, are complete originals. Sizes include #10, #10 windowed, #9, #9 windowed, A2, A6, A7, A9, 9x12, 10x 13.